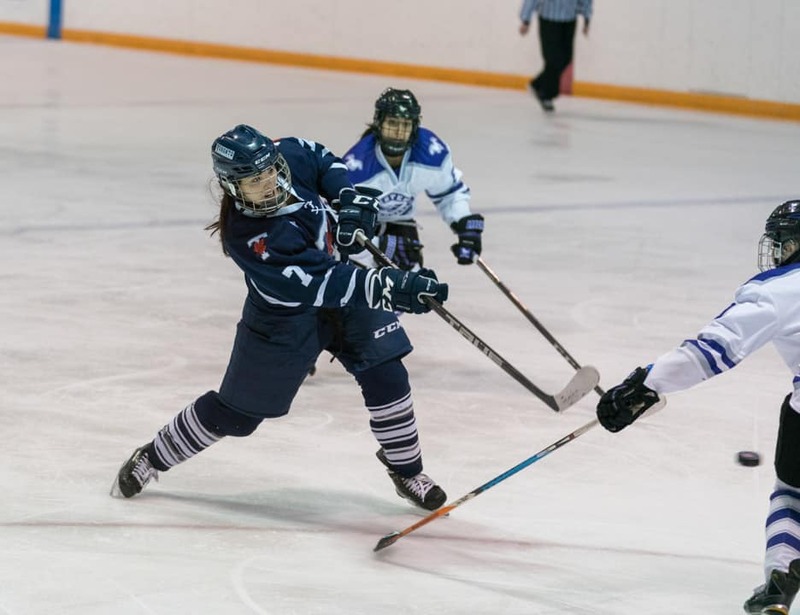 The Varsity Blues women’s hockey team’s playoff run came to an end Friday night, following a 4–2 defeat to the Western Mustangs. The game was a must-win in the Ontario University Athletics (OUA) quarter-finals best-of-three playoff series. The Blues suffered a tough 2–3 overtime loss in the first game on Wednesday night. “I just think we weren’t hungry enough for the win… it was a do or die game. A couple of the goals just deflated us and it was tough to come back,” said Blues defenseman Cristine Chao. Forward Kassie Roache opened the scoring of Friday’s game with a goal on a power play early in the first period to give the Blues a 1–0 lead. Toronto later committed a costly penalty, giving the Mustangs a power play. Western’s Amanda Pereira capitalized and evened up the score at 1–1 to end the intense first quarter. The Mustangs took complete control of the second period. Alyssa Chiarello scored back-to-back goals to give Western a commanding 3–1 lead. Toronto would give up another goal on a power play to Evra Levesque. The Blues managed to cut the deficit to two when rookie Gabrielle De Serres scored on a power play. It still wasn’t enough, as the Blues failed to score in the final period, ending any hopes of a comeback. “It’s tough — it just ended our season. But I think we’re going to learn from our mistakes and build on it for next year,” said Chao. Blues goaltender Valencia Yordanov ended her night early as she finished with 12 saves on 16 shots. Teammate Madeline Albert stopped all 10 shots she faced. “Our off-season starts tomorrow; we just have to put in the effort over the summer and come out flying next year,” said Chao when asked about the teams’ future goals.